The Playstation store now has a new phone, or rather another phone now has access to the gaming goodness from Sony. 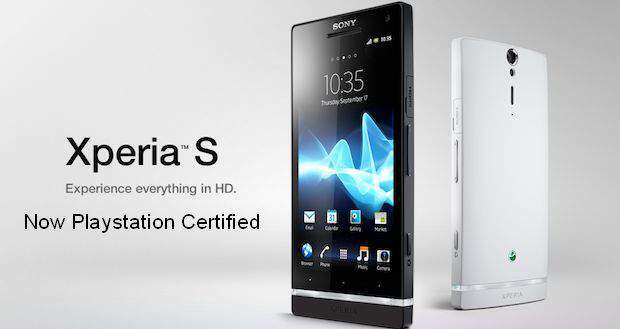 Following in the wake of a few Sony Tablets and the brilliant Xperia Play, the Xperia S Smartphone has now joined the elite ranks of being a Playstation certified device. Having access to the multitude of games and entertainment that the Playstation Store provides is big deal for the Xperia S Android powered phone. It's also good gaming news for the Xperia Play as with a newer, top end phone now also enjoying the cosiness of being Playstation certified it's expected that Sony will bump out even more games and content on their Store. The Xperia S has already made a name for itself by being a very good looking phone and with the Android powered beast having a 15 GHZ dual Core SnapDragon Processor and a pin sharp 4.3 inch HD display it should easily be able to handle older Playstation titles and any new games that developers can throw at it.